Giovanni Antonio Sanna was a politician in the kingdom of Sardinia and an important entrepreneur, as well as concessionaire of the mines of Montevecchio. In his will, he left his precious, rich archaeological and artistic collection (250 paintings from the 15th to the 19th century) to Sassari, the city in which he was born. 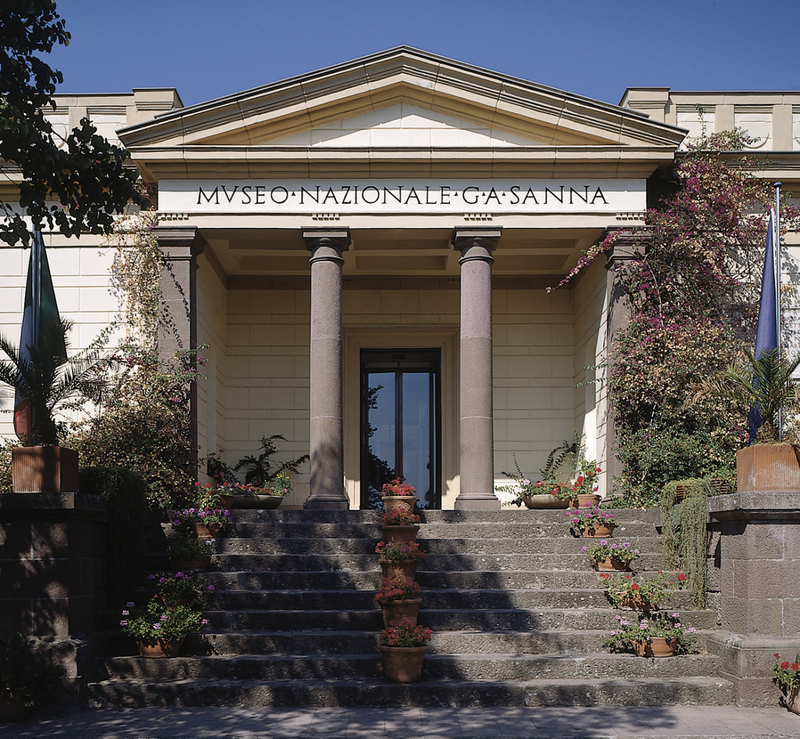 This donation, made in 1878, was the first nucleus of what was to become the future museum, later implemented by artefacts from research and excavations by the Superintendence for Archaeological Heritage and from private collections. 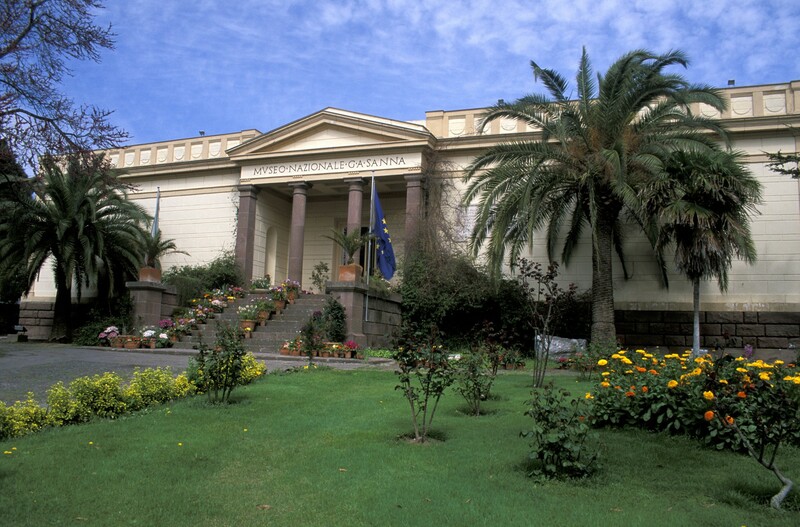 Today, the museum is located in a building in Via Roma, donated by his daughter, Zely Castoldi. Created between 1926 and 1932, its elegance resembles that of a classical temple: the flight of steps at the entrance is made of red vulcanite and it is set back from the road. In the centre, there is a protruding body with Doric columns and a tympanum, while in the lateral wings, which are finished with plaster made to look like smooth stone, there is a cornice supporting a parapet with coffered designs containing round reliefs. Between 1966 and 1973, other areas were added to the symmetrical internal rooms, from existing and new constructions, with a more articulate and modern tendency. 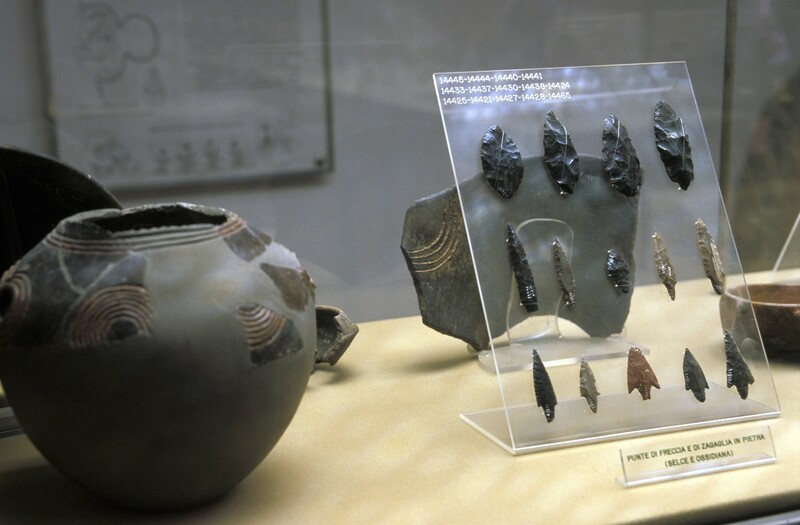 The original division into three sections - archaeological, ethnographic and pictorial - was renewed based on a chronological and topographic order suited to a wider audience. A pavilion for temporary exhibitions was created and the 'Monte d'Accoddi' and 'Romana' rooms were reorganized. Other more recent works have been carried out on the medieval section and the transfer of the collection of paintings to the Mus'A picture gallery. 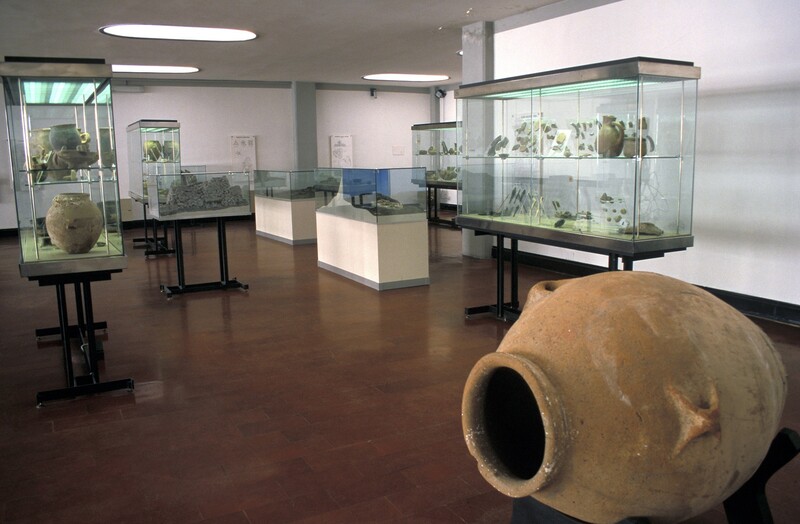 Today, the archaeological part consists of seven rooms: prehistory, pre-Nuragic temple of Monte d'Accodi, domus de Janas, Nuragic civilization, a Phoenician-Punic room (with Etruscan and Greeks artefacts found in the sites), a Roman room dedicated particularly to Turris Lybissonis (the present-day Porto Torres) and lastly a medieval room. The clarity of the exhibition will allow you to acquire immediate knowledge of the archaeological and artistic affairs and the traditions of central-northern Sardinia. To complete our cultural tour of Sassari, a few hundred metres away, you will find religious monuments, including the cathedral of San Nicola di Bari and the churches of Santa Maria di Betlem and Sant’Apollinare, la most ancient in the city, while of the civil monuments, there is the picturesque Piazza d’Italia. Further away from the centre, there are other symbols of Sassari, including the Fontana di Rosello fountain and the Park of Monserrato, a green oasis in the outskirts. Yours will be a unique visit to the archaeology and history of a large part of Sardinia, thanks to the artistic and passionate interest of a great man from Sassari.